Super mega high plasma energies (inside your bodies) and out, these magnify your own distortions, a gazillion-fold, by way of your own thoughts. They also open the heart huge…..
After a strong period of plasma-filling-expansion then we quickly move into an intense contraction…. squeezing the energy, squeezing anything of discomfort… out of the body….. then we move to cellular cleansings and …. Then we do it all over again… the last few days all built/culminated into a point yesterday where it all “went”, then we shifted .. The other day I saw a HUGE STORM coming… this always means chaotic energy getting stirred up, the earth releasing, physical bodies too…. Yesterday when we shifted, it was like “uh-oh this doesn’t feel fun”, then I got into the car and ran errands, while I observed….. Interesting is an understatement… and within a few hours, all that built up (like a balloon ready to pop), it was gone, just like that…. realization is all it took, total awareness of my own distortions so that they could clear and I could clear them intentionally, then sleep to let my body clear the rest…. I awoke to Quickening, then plasma, then building, then compression…. so we are doing it all over again… yet “faster” and stronger each time…. So get ready loves, observe you, your own emotions, your own perceptions, judgments, mentalities, beliefs…. We’ve been watching others project huge lately, all their hate (which equals hurt), lashing out at others…. 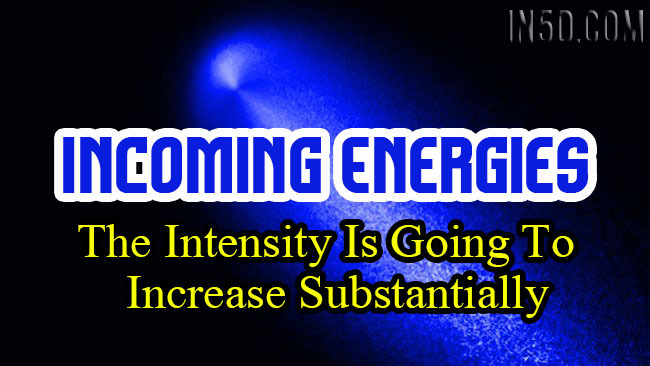 The intensity is going to increase, substantially… with new higher galactic and deeper sacred activations occurring in every moment now…..
Each is going to have to have total awareness and honor for their own self as we enter this paramount phase…. LOVE is returning, PURITY is returning, PROFOUND SACRED everything is returning, yet for this to occur, everything that is not this… will be triggered for a cellular release. Each can do this consciously, through presence, compassion and understanding through the heart-soul…. The anger, resentment, blame and desperation of those who do not yet understand, still compromise and have yet to put their own soul before all else is now emerging in the masses… as physical realities move into eminent and mass collapse, the human aspect lashes out more, needing a focal point for their unresolved hurt and pain…. AFTER the release, after sleep to integrate and clear, after their new awareness comes through for them…. things will shift…. As a LightKeeper of NEW Earth, you hold the POWER, the WISDOM and the LOVE to hold your space, fully anchored inside of your body, fully conscious, fully aware… holding this space easily, unless you contract/shrink down to your own limited human aspect…. Pay attention/observe…. MORE love comes AFTER all the other stuff is allowed to clear…… Confusion and lost is the space all move through for new clarity to emerge from within. This polarizing plasma is weaving through every itty bitty particle as gravitational alignments continuously occur. Microcosm/Macrocosm….. Heaven on Earth means going through Hell and realizing it was all inside of us…. and out there materializes magically as we do.